Product prices and availability are accurate as of 2019-04-15 13:42:27 UTC and are subject to change. Any price and availability information displayed on http://www.amazon.com/ at the time of purchase will apply to the purchase of this product. 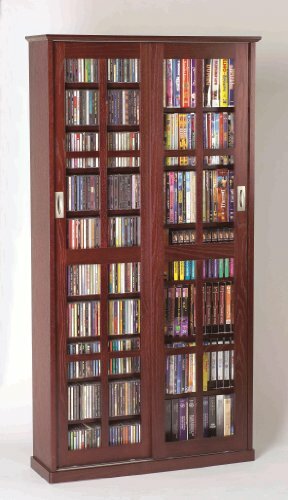 The MS Series of multimedia storage cabinets are constructed with the finest quality materials including hand rubbed oak veneer, tempered glass and brushed metal door pulls.? 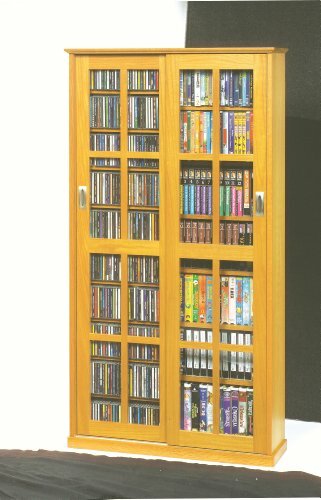 These furniture quality cabinets have fully adjustable shevles allowing for storage of DVD's, CD's, Videocassettes and Game Cartridges.These multimedia cabinets are a handcrafted, elegant solution for home, home theater or office.